DRG provides a wide variety of Oil & Gas maps for the intermountain region. Maps range from large area maps to topographic maps containing: gas well locations, resource roads, pipelines (and some utilities), environmental data and significant landmarks. DRG maps are continually updated with field surveys which are used to maintain the CAD database. The database includes more than 20,000 DRG projects, information from operators and government agencies which are then applied to the various maps. Updated maps prove useful in transportation planning and to all those involved in the exploration, development and maintenance of the various gas fields. DRG base maps are based on the GIS maps and are updated regularly. DRG is a licensed developer for Garmin GPS. We develop oil & gas maps of the intermountain region that can be used in Garmin GPS equipment. DRG quad maps have our base map data on top of USGS quadrangles. 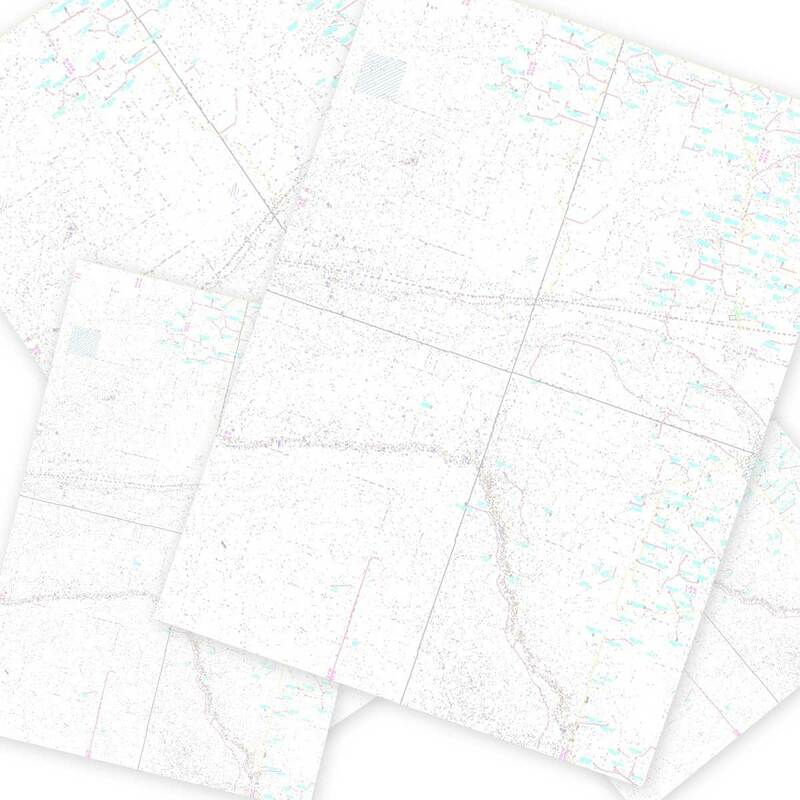 Each map contains 4 USGS quads seamed together with gas well locations, roads, pipelines and EA data layered to fit your needs. Useful for exploration development planning and pipeline routing. DRG can develop custom maps of most areas using AutoCAD, Micro station and ArcView. These maps can be further improved through DRG's RTK and Map Grade GPS surveys to provide a functional map that can be incorporated into any GIS system. Create maps that can be used in transportation planning, environmental studies, etc.